Trust me…you need this recipe for easy Chinese chicken noodle soup, especially if you have a cold that you’re trying to fight off. 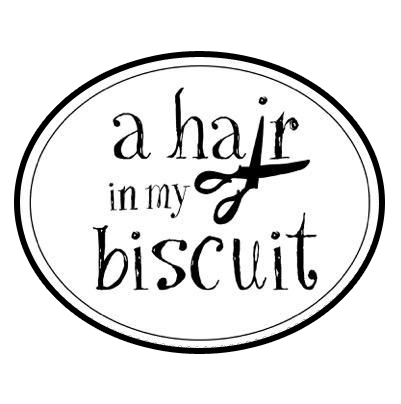 What does this have to do with hair and makeup? Not a darn thing, but I’m sharing it anyway. This recipe is too good not to share, and if I can help someone get over a funky cold, why wouldn’t I? Besides, I haven’t shared a recipe in a while. Put your beauty questions on hold and print this recipe. Next time you have the “ephezooties” (Southern word for a cold), you’ll thank me! The reason that I came up with this easy Chinese Chicken Noodle Soup recipe was because I had a nasty summer cold a few weeks ago. I love hot and sour soup for a cold, because it seems to just wash the symptoms away, but I don’t do Chinese takeout anymore. Every time I eat Chinese food from a restaurant, I get a raging headache and an upset stomach, so there’s some ingredient they are using that my body is rejecting. My own hot and sour soup ingredients are all things that I know I can eat without repercussions, and I usually have them all on hand. I actually cook Chinese food at home quite often. I love the flavors of Asian cuisine, so I do my own thing. I’ve shared various recipes for Chinese food here on the blog, like Marinated Teriyaki Steak and Easy Fried Rice, Pork Lo Mien, and Asian Chicken Pasta Salad. My Daddy-O is the Chinese chef in the family, even though he’s as white as Bunny bread. We can’t visit him without having his amazing chicken stir-fry, which you can find on Jimmie’s blog. Nobody loves his stir-fry like Jimmie! I didn’t have all of the hot and sour soup ingredients that you would normally find in the spicy soup at the restaurants. I didn’t even care…I knew I wouldn’t miss the tofu and mushrooms and cabbage. It was the sour, spicy broth that I was craving when my head was all snuffed up. What I did have was chicken breasts, noodles, and everything I needed to make hot and sour broth. Easy Chinese chicken noodle soup was born! Making hot and sour soup for a cold, even without all the extra ingredients, was the best decision I made when I was sick. 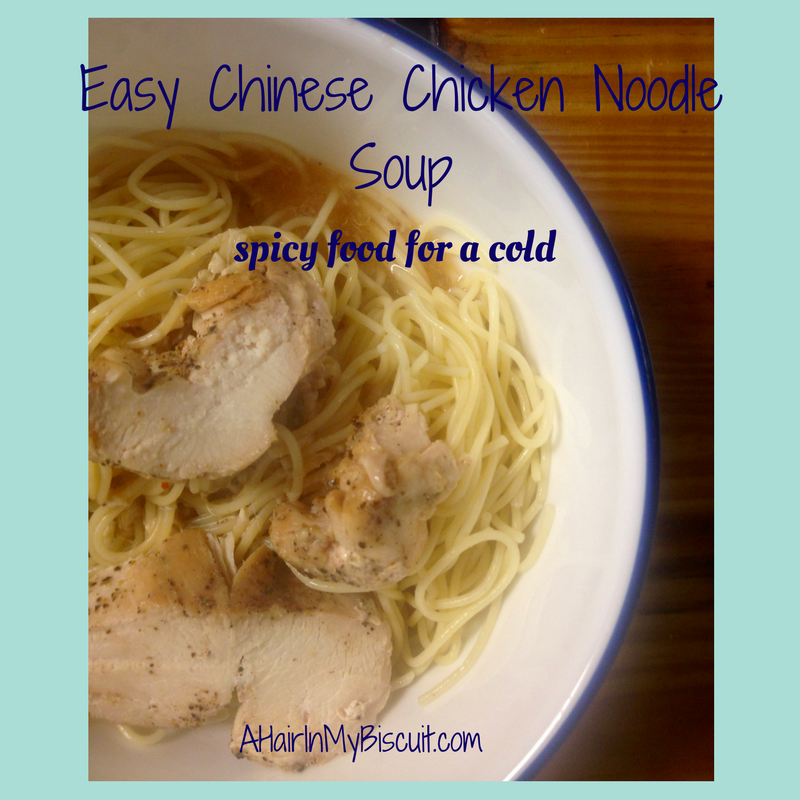 You must try this easy Chinese chicken noodle soup the next time you find yourself with a gnarly cold! It’s super easy to make, and even better to eat! I had enough left over to eat it again for lunch the next day, and after the second bowl-full, I really did feel like I was on the mend. Did you know that it’s widely believed that chicken soup is a great cold remedy? There has actually been research done on the subject. It’s not just an old wives’ tale, y’all! This easy Chinese chicken noodle soup can really, truly help you feel better! Even if I hadn’t found the results of said research, I would vouch for the healing properties of this soup, because it definitely helped me feel better faster! I also believe in eating spicy food for a cold, but that may be just because I looooooove spicy foods in general (and noodles, as you can see). No, not really…spicy foods are a natural decongestant, which you may have noticed the last time you ate hot wings and kept having to wipe your nose. Chicken soup and spicy anything are two of the best foods for a cold, so it’s like giving your cold a double-whammy. Score! I grilled my chicken breasts on my trusty cast iron grill (y’all really need one of these). I just seasoned them with a little salt and pepper, knowing I’d cut them up and add the bite-sized pieces to the flavorful broth. I boiled the noodles according to the directions, drained them, and tossed them with a little olive oil and a smidgen of sesame oil, for that Chinese flavor. I whipped the hot and sour broth together while all of that cooked, and I swear I started to feel better just from smelling it! Preheat a cast iron grill on medium heat. Grill chicken breasts on each side for about 8 minutes, remove and let rest. Cook pasta according to package directions for al dente. Drain and drizzle with olive oil and sesame oil, to keep it from sticking. Combine chicken broth, soy sauce, red pepper flakes, grated ginger and garlic in a saucepan, bring to a light bubble. Mix cornstarch and white wine vinegar well, and stir into soup. Allow to cook for a few more minutes until thickened. Add the beaten egg in a circular motion while stirring, and stir until egg is cooked. Cut chicken in to strips or bite-sized pieces. Pile some noodles in a bowl, cover with hot and sour broth, and add some chicken. What do you consider the best foods for a cold? Do you go for warm chicken soup? I also love comfort foods when I don’t feel well, like my Mom’s homemade potato soup. Papa used to make ham and bean soup a lot, and it was the best cure I could’ve had after I had my wisdom teeth pulled. I sure miss him, and his amazing one-pot meals! I’d love it if you commented below and shared your favorite and best foods for a cold. I need your comments like a sneeze needs a tissue! What a delicious sounding recipe! It almost makes me wish I had a cold. When I make anything that calls for cooked chicken and broth, I boil those breasts 15 minutes and use that water as broth, cutting down on salt. Is grilling required? Do I have to be sick for you to make me some? Just curious. Asking for a friend. No, of course not! You would love it!